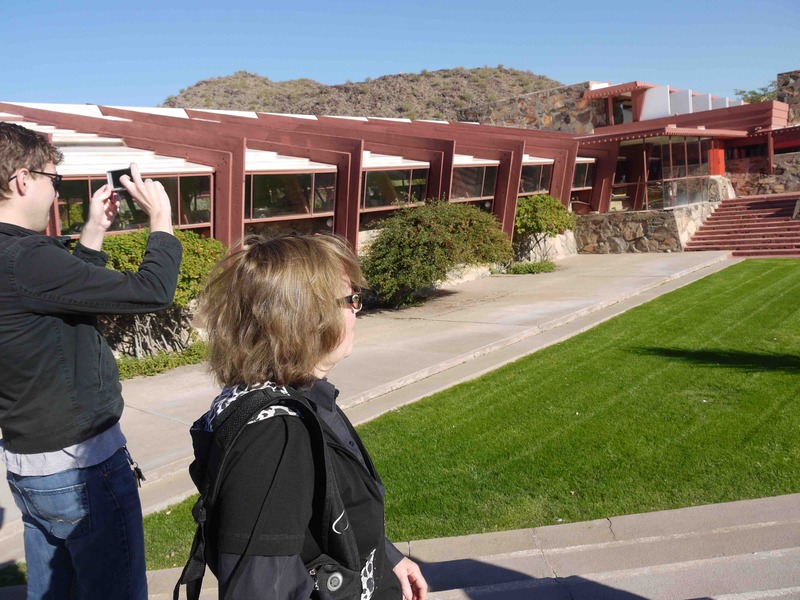 Presumably individuals with a good knowledge of architecture and architectural history have no trouble associating Frank Lloyd Wright with Scottsdale, AZ. I had thought of it primarily as a retirement community for sun-seeking people. 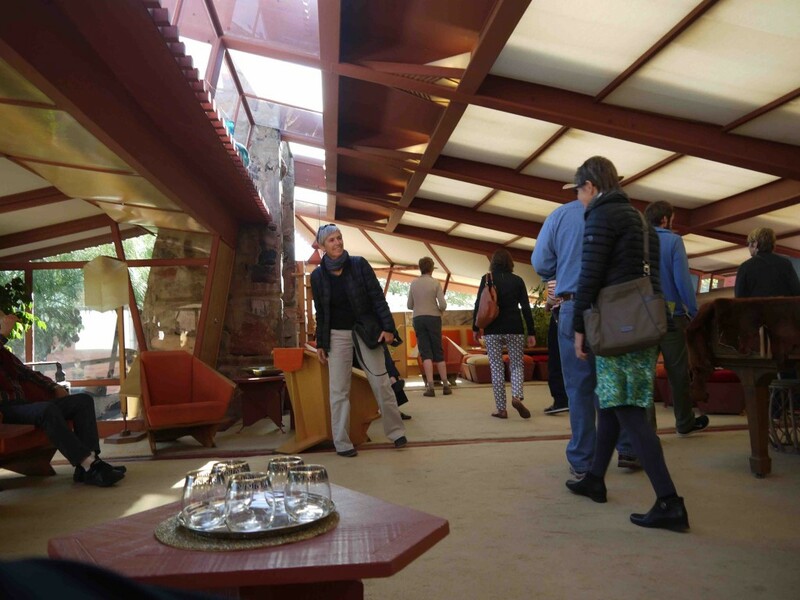 Nevertheless, the opportunity to visit Taliesin West allowed a peek into the life of perhaps the most famous US architect, and an understanding of how fame, marketing, history and the future link in a living (or as Wright would say, an “organic”) experience. Certainly the Frank Lloyd Wright Building Conservancy has succeeded in keeping the heritage alive. Taliesin West, Wright’s summer home and studio, continues today as a master’s level architecture school. Our tour guide says that the school receives about 500 applications a year, and only a few are accepted after portfolios are reviewed for the $40K plus annual residential program (which generally requires three years to complete). “Residential” has a special connotation here — students are expected to build their own desert accommodations (without electricity or running water) and “migrate each year to the Wright’s northern “home” in Wisconsin. The immersive learning conditions, attracting individuals who have already achieved some level of academic or career success, breed a strong work ethic. 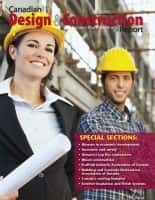 There are computers — I didn’t ask about BIM — but participants are expected to learn how to use and apply slide rule calculations at the beginning of each project. Wright’s life story, described in biographies available for purchase in the site’s bookstore/gift shop, certainly has much more complexity than most of us would ever experience. The multiple marriages, the brutal mass murder (and arson fire) by an employee at his Wisconsin site, and various eccentricities and achievements create a larger-than-life tale. Undoubtedly, with the thriving architectural school, his legacy lives on, though I’m not sure many of us would like to live his lifestyle, fame and all. 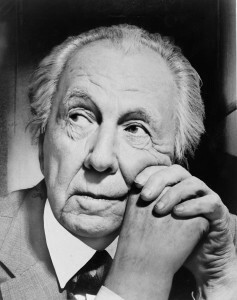 Can we learn marketing lessons from Frank Lloyd Wright? Well, he developed several concepts to draw and attract visitors — his homes were set up for entertaining and guests were encouraged to visit, meet his team (called “boys” even though there were several women among the student architects), listen to piano and watch movies — including uncut Hollywood originals. These activities may have had only indirect relevance to his building designs, but the entertainment was a key part of his client relationship development process; important, in part, because some more prudish people decided they didn’t want to do business with him because of his personal infidelities. 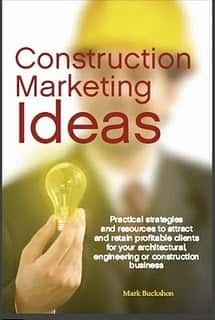 In the end, I think, talent and drive defined Wright — however, he certainly always recognized the importance of relationships, marketing and business development, and made that a priority in his student training process. Previous articleShould you include pop ups on your website?